In addition to general and surgical dermatology, Dr. Shafran provides a number of specialized services including skin cancer surgery, mole removal, age spot removal, scar revision, and sclerotherapy. 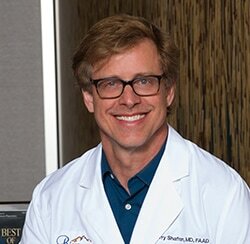 He has over 20 years of experience in cosmetic treatments and is an expert in the use of BOTOX, Xeomin, Juvéderm, Belotero, Restylane, RADIESSE, Perlane, and laser therapies. Lindsay is a Board Certified Physician Assistant. Originally from Pensacola, FL, she received her Bachelor’s Degree in microbiology from the University of Florida. Lindsay graduated with her Master’s Degree in Physician Assistant Studies from the University of South Alabama. She has been a practicing physician assistant in North Carolina for more than 10 years. She is an active member of the Society of Dermatology Physician Assistants and American Academy of Physician Assistants. Lindsay offers appointments in all areas of general dermatology for children and adults. She performs dermatologic surgeries including biopsies & excisions, and is well trained in minor cosmetic procedures including Botox. Lindsay has been awarded the title of SDPA diplomate (one of only eight in NC), which is awarded after completing a rigorous and challenging set of training modules specifically geared toward being a dermatology PA. In her free time she enjoys staying active with her husband and two children. 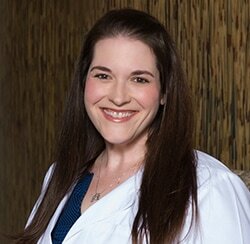 Nikki is a Board Certified Physician Assistant, specializing and practicing in Dermatology for over 10 years. Originally from Ohio, Nikki attended the University of Toledo where she received her Bachelor of Science degree in Biology, with a minor in Chemistry and a pre-med focus. She then continued her education at the University of Toledo, graduating in 2006 with a Master of Science in Biomedical Sciences in Physician Assistant Studies. After graduating, Nikki moved to North Carolina to practice. Nikki is an active member of the American Academy of Physician Assistants and the Society of Dermatology Physician Assistant. She offers appointments in all areas of general dermatology for adults and children. She performs dermatologic surgeries including biopsies and excisions and is also trained in Botox. When not in the office, Nikki enjoys spending time with her husband, daughter and their 2 dogs. Ashley is a Board Certified Physician Assistant. A North Carolina native, she grew up in the Lake Norman area before going on to receive a Bachelor of Science Degree in Biology from the University of North Carolina at Chapel Hill. She then completed a Master of Physician Assistant Practice Degree at Campbell University and graduated with academic honors. While at Campbell, Ashley completed her training in multiple specialties including family medicine, general surgery and dermatology. 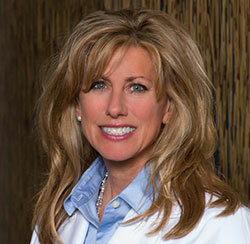 She completed her elective dermatology rotations at Riva Dermatology prior to joining the practice. 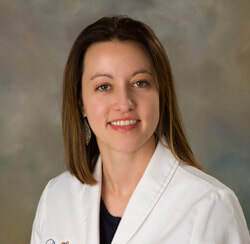 She is an active member of the Society of Dermatology Physician Assistants, the Metrolina Association of Physician Assistants and the American Academy of Physician Assistants. Her appointments are offered for children and adults in all areas of general dermatology. 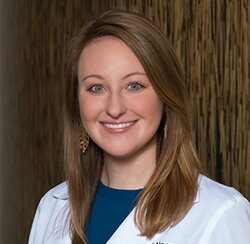 Ashley values educating her patients and her special interests include surgical procedures, the evaluation and management of skin cancer, chronic disease management and preventative skin care. In her free time, Ashley enjoys trying new restaurants, volunteering, traveling, and cheering on the North Carolina Tar Heels. 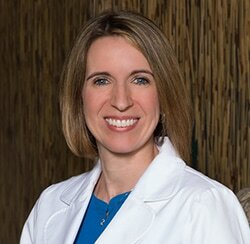 Erin is a Board Certified Physician Assistant, specializing and practicing in dermatology for nearly 10 years. Originally from Boca Raton, Florida, Erin attended the University of Florida where she graduated with honors and received her Bachelors of Science in Occupational Therapy. She continued her schooling further and earned her Master’s of Science in Physician Assistant Studies from the college of medicine at the University of Florida. After graduating, Erin moved to North Carolina to begin practicing. Shortly after, she met her husband and started her family. Erin is an active member of the American Academy of Dermatology and Society of Dermatology Physician Assistants. She offers appointments in all areas of general dermatology for children and adults. She performs biopsies, excisions, and minor cosmetic procedures. She also performs full body skin exams. When not at the office, Erin enjoys spending time with her husband, cooking, and playing outside with her two small children. Licensed medical aesthetician and certified medical assistant with over a decade of experience working in a medical practice and providing numerous cosmetic and general dermatology services to the Charlotte and Lake Norman areas. These include patient consultations for physician provided services such as use of neurotoxins, all dermal fillers, Kybella, sclerotherapy, and cosmetic excision and radiotherapy treatments. Also certified by the CoolSculpting University for CoolSculpting consultations and treatments. Expertise in many therapies includes anti-aging treatments for problems such as sun damage and associated broken blood vessels and pigmentation of the face, chest, arms and legs, melasma and other problems of excessive pigmentation in skin of all colors. Also perform acne extractions, injections, Acleara treatments and dermal infusion microdermabrasion in addition to treating rosacea, stretch marks, and acne and traumatic scars by various techniques. Additional proficiencies include use of high-intensity RF microneedling and ablative and non-ablative laser therapies for tissue tightening of skin laxity and wrinkles, Intense Pulsed Light, 1064 ND:YAG leg vein, hair removal, microneedling, dermal subcision, TCA Cross treatment, superficial and deep epidermal chemical exfoliation, and macro and micro current therapies. Expertise in skin care includes the use of Visia facial analysis, customized skin care programs with use of appropriate medical grade retinoids, exfoliants, anti-oxidants, skin repair and renewal products and photo protective agents. These include but not limited to agents from ZO Skin Health, Obagi Medical, iSClinical, Revision Skin Care, Lifeline, ColoreScience, SkinCeuticals, and NeoCutis. Brittany is a licensed skin care specialist with over 4 years of experience giving patients their healthiest, most beautiful skin, while providing the highest level of patient care. Because of her experience in a variety of settings, knowledge of product ingredients, and understanding of technology and the basic science, she is able to provide the highest quality of full service aesthetics that produces the best results. She works closely with each patient to understand their goals, and then conducts an extensive skin analysis to pair them with the best treatments and products. Brittany has expertise in anti-aging treatments, hyperpigmentation, melasma, and acne scarring. Her specialties include PCA skin peels, microdermabrasion, dermaplaning, and microneedling. She loves the aesthetics industry and believes it offers an ongoing learning experience, and keeping up with available knowledge is key to being the best for her patients. Therefore, she is always looking for ways to increase her knowledge and stay current on the treatments and products that ensures she can help each patient feel more comfortable in their own skin. Brittany attended the Newberry School of Beauty in Granada Hills California obtaining her license in 2013. While skin care is her passion, during her free time Brittany enjoys hot yoga, hiking, spending time with family, friends and her dog Sophie.